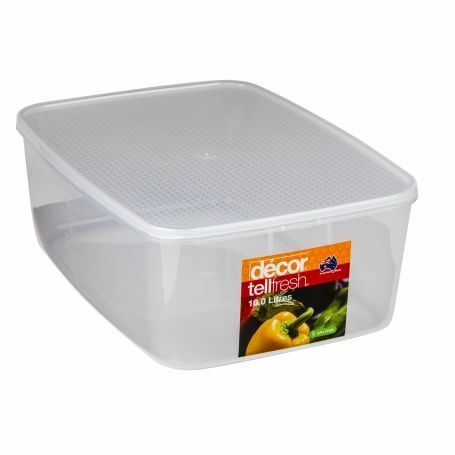 Decor Tellfresh storers are known for their quality, functionality and affordability. There’s an extensive range of useful shapes and sizes. Being stackable, you can arrange them so your pantry, fridge or freezer is neatly organised. Fridge, freezer and dishwasher safe.